Canadian curlers will have another chance to win Olympic gold, beginning with the 2018 Winter Olympics in Pyeongchang, South Korea. The International Olympic Committee made the announcement earlier today following Executive Board meetings in Lausanne, Switzerland. 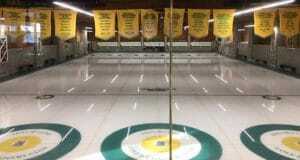 This had followed years of lobbying by the World Curling Federation, with Curling Canada adding its support. The process to determine Canada’s mixed doubles representatives for the 2018 Games will be announced later this year. Canada will enter the Pyeongchang Games as the defending men’s and women’s traditional team gold-medallists, with Brad Jacobs of Sault Ste. Marie, Ont., and Jennifer Jones of Winnipeg having prevailed in 2014 in Sochi, Russia. Mixed doubles, on the other hand, has not been as kind to Canada. Since the first world mixed doubles championship in 2008, Canada has finished on the medal podium just once, in 2009 at Cortina d’Ampezzo, Italy, when Sean Grassie and Alli Flaxey took bronze. But this country played a leading role in the development of the new discipline. 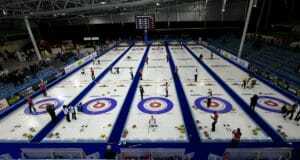 Longtime Curling Canada Director of Events Warren Hansen and former world men’s champion Neil Houston developed the concept in advance of the inaugural Continental Cup of Curling in 2002. The mixed doubles game format is played over eight ends (instead of the usual 10). Each team has only six stones and one of those stones from each team is prepositioned on the centre line before every end of play. One player delivers the first and last stones of the end while the other player throws the second, third and fourth stones. If they choose to, the two players may swap positions from one end to the next. Both team members are also allowed to sweep. 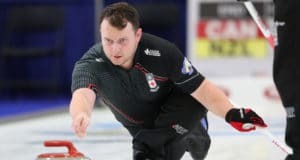 At the most recent World Mixed Doubles Championship, in April in Sochi, the Calgary-based team of Charley Thomas and Kalynn Park finished fourth. The WCF first attempted to have mixed doubles added as part of the 2010 Winter Olympics in Vancouver, and has since, with support from Curling Canada, successfully built the discipline around the world, with non-traditional curling countries such as Hungary (2013 and 2015 world champions) and Spain (2014 bronze-medallist) having enjoyed success. “We are absolutely delighted with this news confirming that Mixed Doubles will be included in the Pyeongchang 2018 Olympic Winter Games,” said WCF president Kate Caithness. “Our athletes have showcased this exciting and dynamic alternative to traditional team curling at our World Mixed Doubles Championships for many years now and we’re thrilled that their progress has been rewarded by the IOC’s decision. Also today, the International Paralympic Committee announced that the wheelchair curling field for the 2018 Paralympic Winter Games in Pyeongchang will be expanded from 10 to 12 teams. Canada won Paralympic gold in 2014 in Sochi.